CAREW, Robert Shapland II (1787-1856), of Castleborough, co. Wexford. b. 9 Mar. 1787, o.s. of Robert Shapland Carew I*. educ. Eton 1799-1802; Christ Church, Oxf. 1804, ?Edinburgh Univ. 1807-8. m. 16 Nov. 1816, Jane Catherine, da. of Maj. Anthony Cliffe of New Ross, 2s. 2da. suc. fa. 1829; cr. Baron Carew [I] 13 June 1834, Baron Carew [UK] 9 July 1838; KP 18 Nov. 1851. Ld. 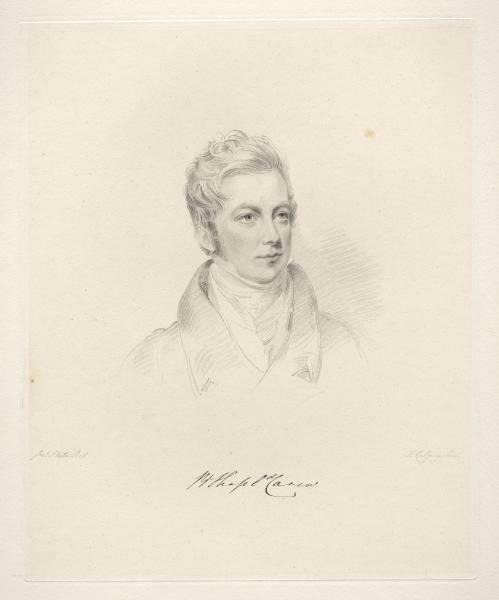 lt. co. Wexford 1831-d.
Like his father, Carew was returned for the county, coming in unopposed in 1812 and following the same independent opposition line in politics. He joined Grillion’s Club in 1813. His maiden speech was in defence of Catholic relief as a matter of national welfare, 1 Mar. 1813, and he went on to vote for it at every possible opportunity. 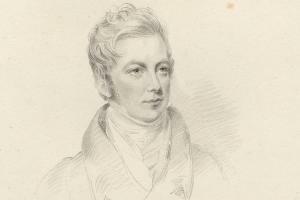 On 27 May 1814 he presented a Wexford farmers’ petition in favour of agricultural protection, having been four days before in the minority against the corn exportation bill. He criticized, though he did not oppose, the chief secretary’s bill for the better execution of the laws in Ireland, 27 June 1814, denying allegations of unrest in Wexford. From 1815 to 1820 he voted steadily for public economies, for the resumption of cash payments by the Bank and in February 1817 against the suspension of habeas corpus; but he approved the Irish peace bill, 11 Mar. 1817. He was a spokesman against the Irish window tax on 21 Apr. 1818 and 5 May 1819. During the latter session he voted for the reform of the criminal law, 2 Mar., and, after exposing the corruption he had come across as a member of the Penryn election committee, voted for burgh reform, 6 May. He was in the opposition minority for Tierney’s censure motion, 18 May, but does not appear in any further minority lists in that Parliament. Carew was an energetic magistrate, congratulated by the chief secretary for the efficient way he handled disturbances in Wexford in 1816. The Castle nevertheless treated him as an opponent and tried unsuccessfully to unseat him in 1818. The Whigs later rewarded his loyalty. He died 2 June 1856.